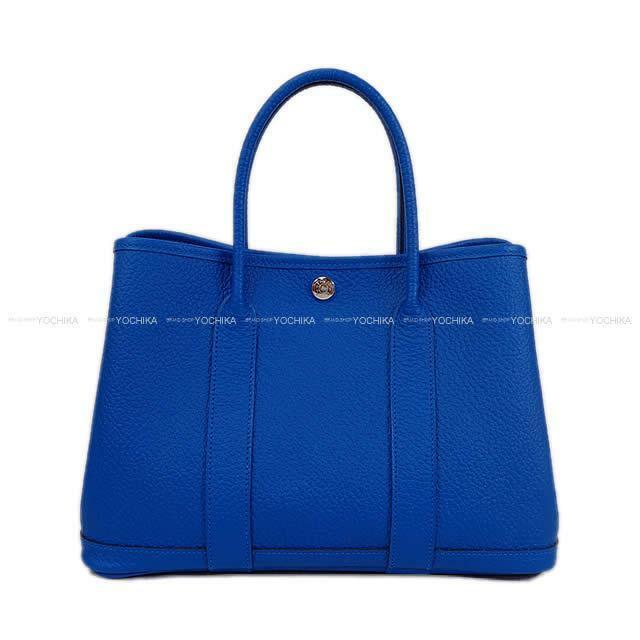 As a daily bag a tote bag "garden party" of the extreme popularity. The color is winter new color BLEU ZELLIGE in the autumn of 2018. Is the good mood for long autumnal night; become blue. (I let some blue Zanzibar tone down and had a smoker it becomes blue.) The garden party giving a slightly casual impression is convenient while being elegant and is loved from the various age groups. It is refined, and the material becomes the soft model push that it is easy to use and is good to the rearranging of the accessory because I am accompanied by one place of fastener pocket belonging to it inside. Manageability including the simple design which it is processed, and is easy to put a thing in and out that the lining is hard to be polluted with cloth is preeminence! It is easy to always have the TPM size and is the size that recycling hears! It is Bach full of the sense of quality only in the Hermes who does not become too much casual.